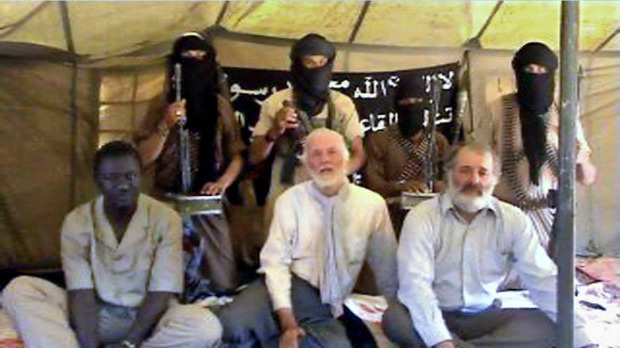 Robert Fowler’s account of his four-month captivity in northern Mali with Louis Guay in 2009 doesn’t so much leap off the page as grab you by the ears and haul you in. I read it over a weekend because here at last is a lucid, thoughtful and detailed description of an experience about which many wonder: ‘how would I cope?’. And before the first page is turned Fowler answers that question: ‘better than you’d assume’. Thankfully, a lazy Day 1, Day 2… diary format is avoided. Instead, events or themes are covered over the pair’s months ‘en brousse’, while fending off the malice, provocations and mind games of their captors, as well as navigating their own inevitable mood swings. Some like to dismiss AQIM and similar groups as mere criminals enriching themselves from smuggling and kidnapping. If that’s the case then Fowler’s abductors, led by Moktar bel Moktar (‘MBM’, who went on to organise the deadly gas plant raid in Algeria in 2013) put up a convincing performance refuting that. Not one of the ragged jihadists failed to try and convert the two diplomats to Islam while at ‘Camp Canada’, and vigorous religious debates dominated the gang’s conversations, rather than which Rolex they’ll buy with their share of the loot. Throughout this episode both Fowler and Guay were put to the test, but astutely deployed their hard-won diplomatic nous to help lessen their misery, as well as using other methods to maintain morale. One topic I thought oddly absent was any obsessive discussion over food. Some emotionally sensitive subjects were proscribed, but you’d think the harmless pleasure in food fantasies would be fun. After months of uncertain negotiations, unexpected gifts, hurried relocations as well as calls home, somewhere in the desert the two Canadians are finally handed over to shady mediators. With them are two desperately emaciated European women, kidnapped by more brutal rivals who are deeply unsatisfied with the settlement. In a tense denouement the two AQIM leaders face each other down but MBM prevails. The jeeps speed south and diplomatically staged photo calls, long-overdue ablutions and happy family reunions ensue. The book ends with a warning that action must be taken against the scourge then oppressing northern Mali (in January 2013 the French led Operation Serval invaded the area). There’s also an unapologetic swipe at the way the RCMP handled Fowler and Guay’s abduction. Wikileaks since revealed that €700,000 was paid and AQIM prisoners released, thus prolonging the scourge. The conduit for the cash was the then convenient treasury of Ghadafi’s Libya, in return for unspecified concessions. Some speculate about publicity bans put on former Saharan hostages (nearly 100 in the last decade) by their governments; perhaps a condition for covering the usually denied ransoms. If that was the case with Robert Fowler, he ignored it. 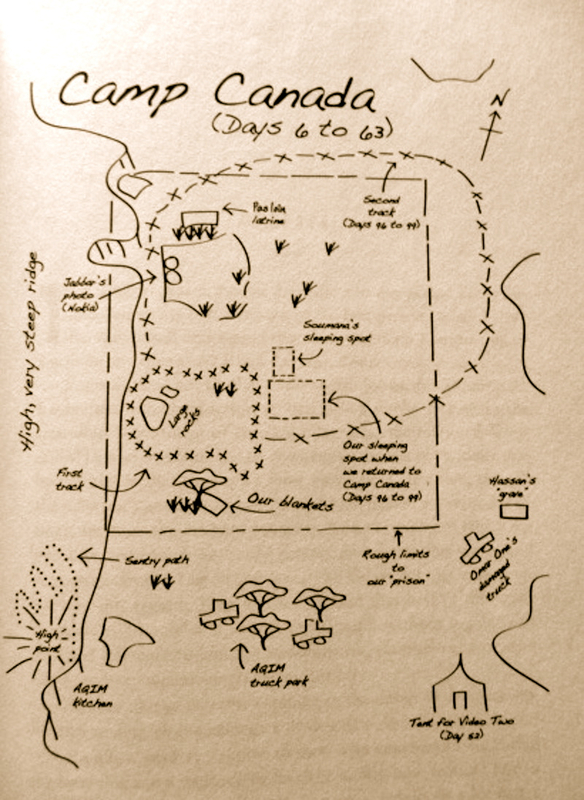 ‘A Season in Hell’ illuminates their desert captivity in vivid detail, including as far as they could gather, the motivations of the people who abducted them. It might even be read as a manual on how to cope with such an experience. However you choose to take it, it’s highly recommend. Longer version with more background here. This entry was posted in Desert Babbles (blog) and tagged A Season in Hell ~ Robert Fowler on September 4, 2012 by Chris S.